You will be purchasing one (1) license to unlock the full version of the Mach4-Hobby software. 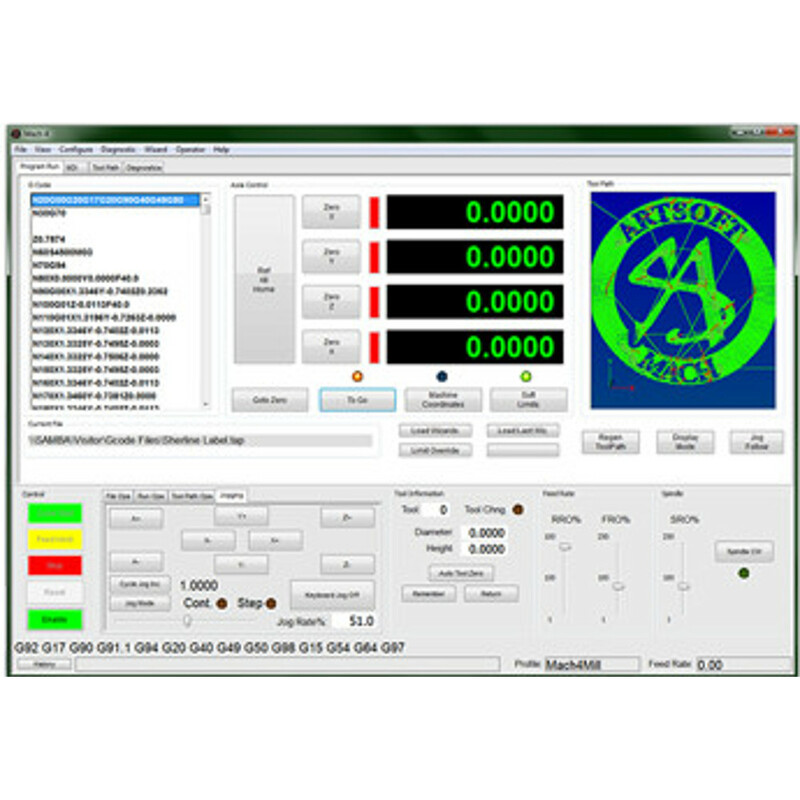 Please download the full version of the Mach4-Hobby software and give it a try before buying a license. We are sure you will find it useful and a great value. Come back and purchase a license for the software, once you are satisfied it will work for your needs. The license code will unlock features, limits, or time restrictions. Please don’t buy a license until you have tried the software and are 100% satisfied. 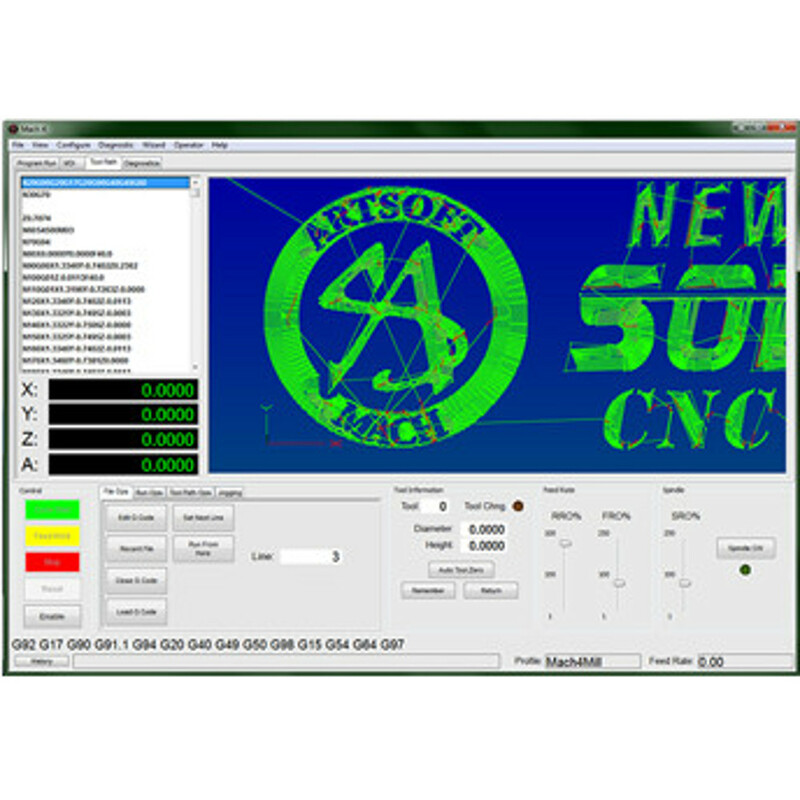 Mach4 Hobby – A full featured software version to be marketed toward those interested in using CNC machinery for their own personal /non-business use. End-user support is limited to e-mail and online forums. Add-ons, expandability, and updates will be available. This version is the direct replacement for Mach3. Mach4 Hobby has been released. Check the availability of a motion control plugin for your device before buying. Currently, motion control is available using our Parallel Port plugin (legacy license required),Vital Systems, PMDX, CNC4PC, and CS Lab (US distributor) have great motion control boards with plugins for Mach4 available from the associated links. Mach4 Information: Mach4 is our newest version of CNC motion control software. While the core software is completed, it will take time to complete all of the software plug-ins that allow Mach4 to communicate with specific hardware devices. OEM’s and equipment manufacturers that have committed resources to developing their software plug-ins, will be the first to take advantage of Mach4’s benefits. Much of the development of the plug-ins is completed by the manufacturer of the hardware. Mach4 is completely new software and has less than 1% of the programming code in common with Mach3. It was written from the ground up to be expandable, flexible, and extremely responsive for use with very large files on any operating system; including Windows, Apple, and Linux. While there was only one version of Mach3, Mach4 will be offered in different versions (not including the many customized OEM versions). The plugins you may need to upgrade a system may not be available and may require the purchase of new hardware. Hardware plugins (drivers) are created and supplied by the hardware manufacturer. Mach3 drivers and code are Not compatible with Mach4. Mach4’s modular design allows features to be added and removed without affecting the systems operation. This aspect greatly enhances the flexibility for different applications, machines and uses. - Different modules of the core can be removed, added, or created to create a custom software package for OEM’s, re-sellers, and educational organizations. IO registered to system without any software interference between devices. - All Motion control calculated in the core = less dependence on hardware and associated software driver. - Motion Device Drivers (Plug Ins) have standard format = common level of functionality between components, less complexity, easier and less costly to troubleshoot and support. - Up to 100x faster response from button click to machine action. 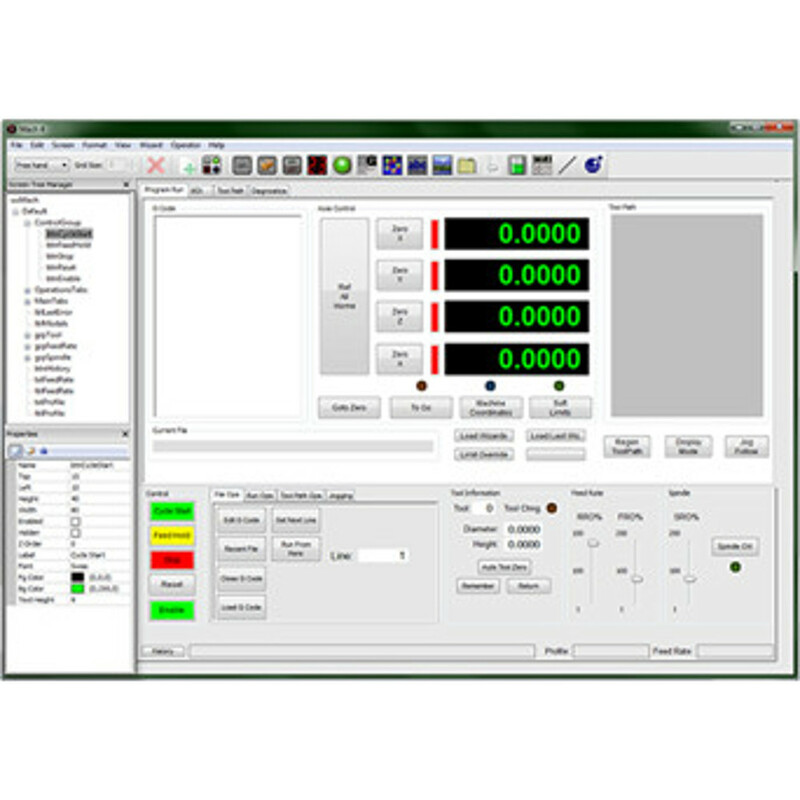 Machine hold or speed changes happen as quickly as GUI buttons are selected on the screen. Higher quality manual pulse generator (MPG) = very smooth jogging and positioning without lag time. – Type C (Fanuc) cutter compensation standard in Mach4. – Synchronous Motion of up to 6 completely separate coordinate systems (instances) at the same time. – Asynchronous Motion (out of band axis) to control uncoordinated motion.